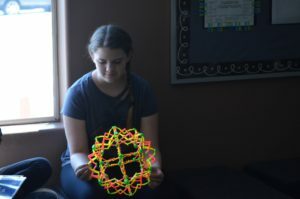 What they learned is that many students feel limited in their abilities to grasp and perform mathematical functions when they rely on traditional tactics of memorization of facts and developing the ability to produce right answers in a timed manner. The science shows that “many of our mathematical concepts are held in our visual and sensory motor memories.”(Journal of Applied Computational Mathematics: J. Boaler, L.Chen, C.Williams, M. Cordero) So by giving greater emphasis on visual and physical mathematics, students are using more of their brains to actually grasp underlying math principles. When it comes time to test their knowledge, students who have used this process have performed better than their peers relying on traditional teaching methods. 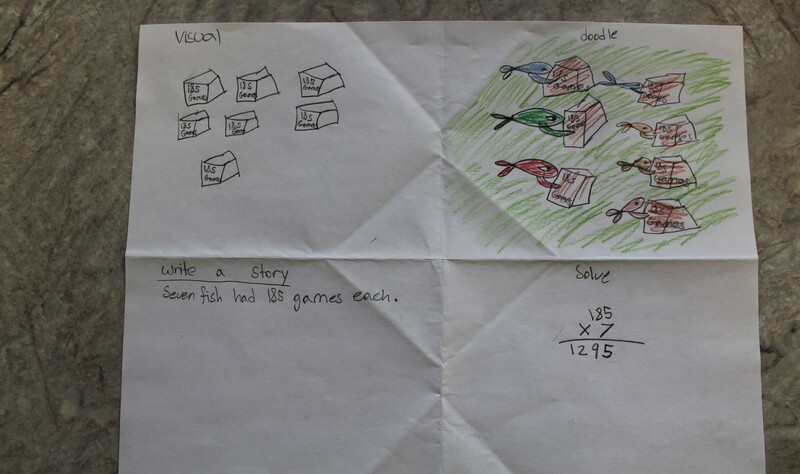 We can actively stimulate the visual representation of math concepts such as graphing equations and using pictures to represent computations which takes nothing away from getting to the right answer, it simply expands the way math concepts are presented and then understood. As we go further into the technological age and the era of information, it will become more relevant for workers of the future to be able to absorb and analyze large amounts of data, and to be able to see relevant patterns of usable information. 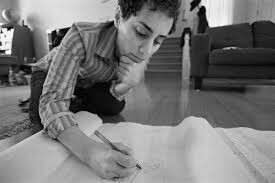 FMS students will have the benefit of understanding Mathematical concepts more deeply by using visual tools, and to potentially explore some of the hidden complexities that Dr. Maryam Mirzakhani did. 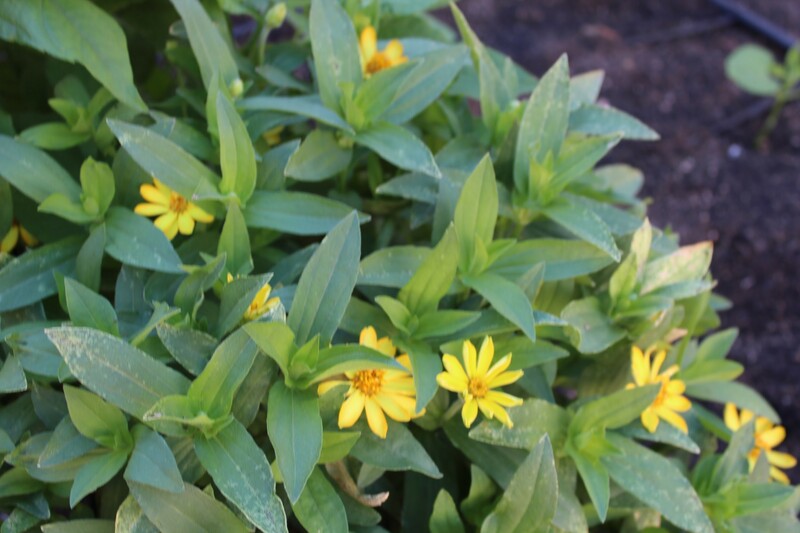 Over the years, FMS has had many green thumbs planting flowers, herbs, and plants on campus including the greenhouse. Ms Val manages in the primary outdoor classroom. Last year, there was a concerted effort, led by Ms. Kerri(E6), to partner with Green Our Planet and create a sustainable gardening program. The fruits of her labor are coming to fruition as we see the plants thriving in the new brick planters located in the campus courtyard. 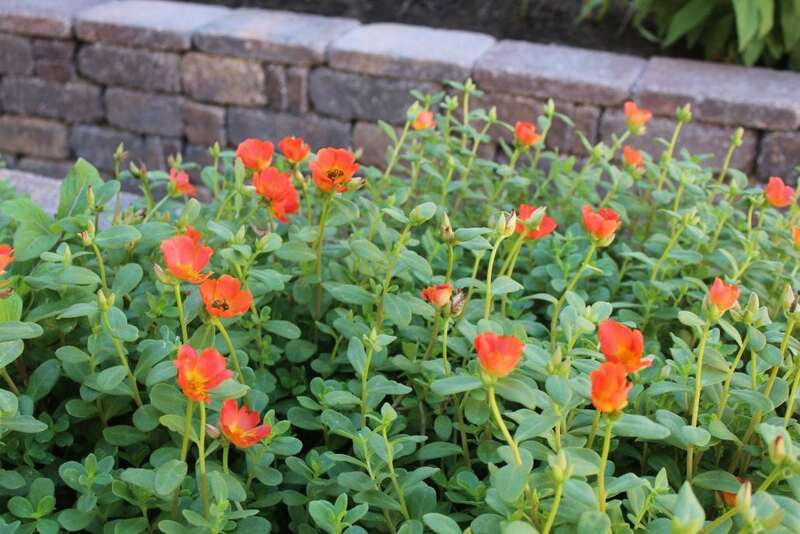 Every classroom is represented on the gardening committee and exciting results are starting to bloom. 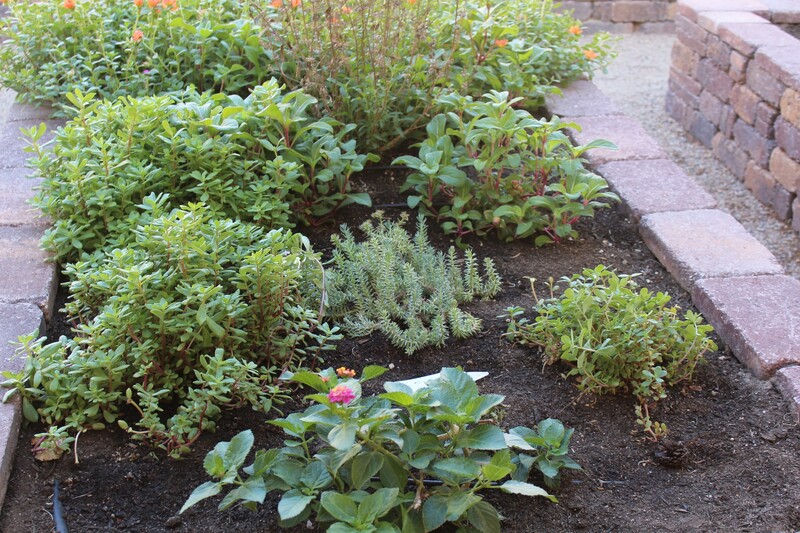 There are essentially four areas on campus that are dedicated to growing plants: the center courtyard, the east side behind the lower elementary classrooms, the green house in the primary outdoor classroom, and the pollinator garden found outside E6 (upper elementary) on the west side. 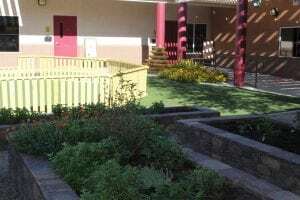 Each area has its purpose and the students, teachers, and parent volunteers are involved with the maintenance and growth of the areas. In addition, primary classes are focused on creating a sensory garden with plants which feel, taste and smell amazing. 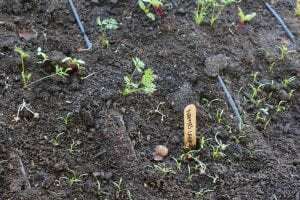 We are even considering starting a seed library. As the garden grows, elementary students will participate in professional chef demonstrations using produce from our harvest. Also, be on the lookout for notification of upcoming farmers’ markets where students will be selling items from the garden. Leadership is a complex and useful skill that may lay dormant in a young person until they are actually called upon to use it. 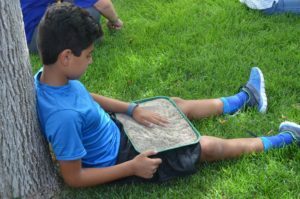 This summer, six FMS middle school students were invited to attend a week-long leadership training program sponsored by the Ambassador Leaders program. Some of our students attended the training at Harvard Law School and others went to UCLA. Each student was nominated by their teachers and then submitted an application to be chosen to attend the training. When asked, “What did you learn about yourself through this experience?” One student commented that the experience “opened her up,” another had to “step out of her comfort zone and engage in conversations with people she had just met.” A student also commented that his group had to speak about their community project idea in front of an audience of over 100 people, and he was “pleased with his performance.” The experience certainly provided opportunities for students to become more confident in public speaking and collaborating with peers. 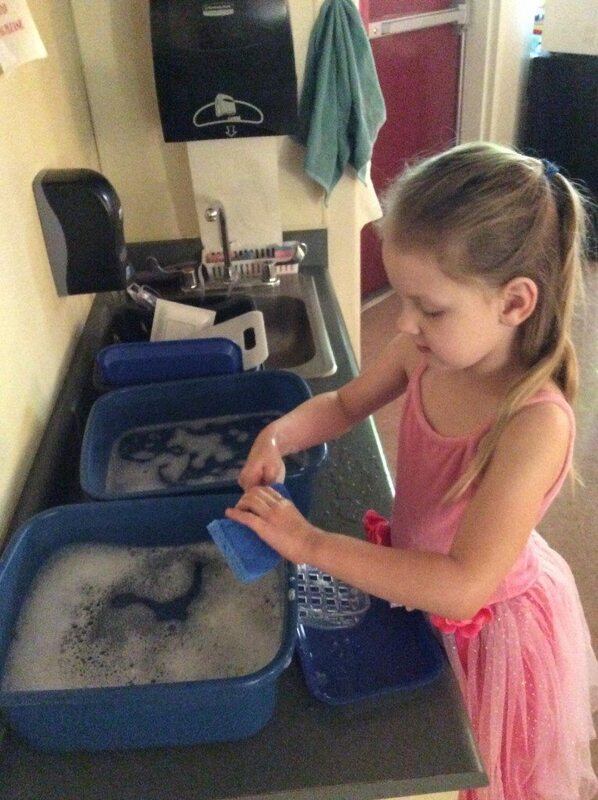 FMS is a blended Montessori program. Montessori materials for teaching Math, Language, Reading, Science and Cultural lessons are the foundation for lesson giving at the primary level and are used in varying degrees in the upper grades. We follow the tenet of presenting the concrete material first, such as using a single red bead to represent “one” and the green bead bar to represent “two.” Then, as the student becomes more familiar with the process of handling the concrete materials and their knowledge solidifies, they are introduced to more abstract representations, such as writing the number 1 and then eventually learning the functions of addition, subtraction, multiplication, and division. 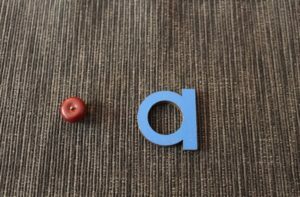 Sounds are presented first when teaching language to 3 and 4 year olds so that when letter recognition is developed, a young student begins to see the letters put in a pattern to form words, which eventually leads to pre-k students reading simple books. 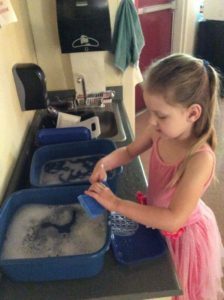 The Montessori method is one that is “hands on” and process driven. This methodology is used throughout each of the ascending grades at FMS. Much of the teaching is done in small groups, where again, specific needs and abilities of the students are addressed. Once a student is in lower elementary (first through third grade), Montessori materials are still used in the classroom, but traditional learning materials are used to solidify a students knowledge, preparing them to function effectively in any school setting. For example, “Words Their Way” is a spelling and comprehension tool used to develop writing skills, as well. This starts in first grade and carries through sixth grade. 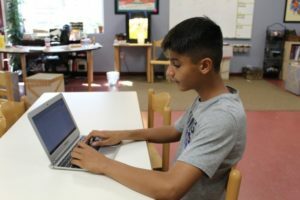 Middle school students focus on etymology, while learning the deeper connections of how words were created and applying their meaning in their writing. 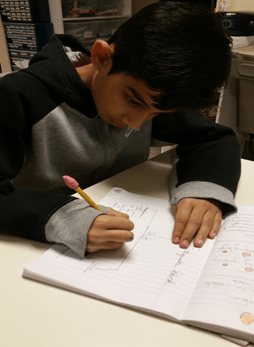 Starting in third grade, each student is given the Stanford 10 Achievement Test rating the student’s reading, comprehension, spelling, vocabulary, math and listening skills. A record of these scores is posted on our website under the ABOUT category then under TEST SCORES. 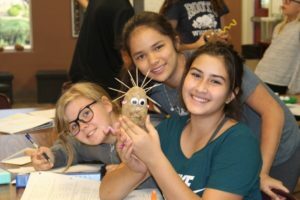 For over ten years, FMS Montessori students have consistently demonstrated above grade level mastery as a mean population. These results are measurable indicators that FMS students are standing on solid academic ground and can compete effectively when measured against traditional school standards. Chrome notebooks are introduced to upper elementary (fourth through sixth) students as a tool for researching and writing papers. Middle school students continue to use Chrome notebooks for research and Google classroom. All of the “non-Montessori” tools are used to solidify and refine the education process at FMS. We are committed to helping each student develop to the best of their abilities, both on an academic and social/emotional basis. Learning “how to be with other people” is just as vital as learning the sounds of the alphabet, or composing a well written paper. FMS is an institution that feels warm and inviting. 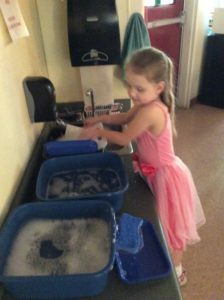 Children, parents, teachers, and administrators take an active role in our learning community, contributing to the collective experience we share during the school year. FMS is a community of learners, inspired by the Montessori philosophy to do our very best every day. Cooking projects in the FMS kitchen happen on a regular basis, filling the office with delicious scents and actively involving students in the preparation of food. Sometimes, the food that is being made is to celebrate birthdays for the month. Often there is an opportunity for our students to experience an academic lesson represented in a food item. Last week, P2 students entered the kitchen and found that the entire solar system was laid out on the table in front of them. The task was to paint a plate with yogurt signifying the atmosphere and the boundless space around us. The sun was represented by an orange slice, with Earth showing up as a slice of kiwi. The asteroid belt was laid out by using raisins. Each piece of fruit was proportional in size, representing the scale of the planets in space. This visual and tactile lesson was further enhanced when the students were able to eat the fruit and use their sense of taste. Space was explored, a lesson imparted, and a memory made when the fruit was eaten…a true Montessori experience. The FMS teaching staff began the new year with a training in mindfulness. It was given by Tessa Stephenson, MS MFT, and Regional Director for the Endeavor network. Mindfulness is an old idea getting new traction in our fast paced world. As per Ms. Stephenson, mindfulness is a perspective that cultivates “an attitude of openness and curiosity no matter the circumstances, including situations that are unwanted or unpleasant.” Mindfulness offers tools for regulating emotions in order for a person to stay present and focused in the moment they are in, instead of reacting automatically to their own emotional states. Simply taking a deep breath can calm the mind long enough to integrate the right and left sides of the brain so a person can think clearer about the situation at hand. Many studies have shown that teaching young children mindfulness techniques gives them life skills for coping with frustrations and disappointments. The studies have also shown that as young children are taught mindfulness techniques, they begin to experience themselves moving from a reactive to a receptive state. Not only does this help them in the immediate moment where they feel challenged, but this simple training can facilitate long term positive brain development. Integrating the left and right sides of the brain is the ideal state of mind. The right side of the brain controls senses, emotions, nonverbal communications, and gives the whole picture context. Studies demonstrate connecting with the right side of the brain where emotions are generated is critical to effectively redirecting behavior. Once the emotions are addressed, then conversation can proceed to utilizing the left side of the brain. The left side of the brain is the logical, linear, literal, and linguistic driver. Solutions can be offered and boundaries reinstated. One of the mindful techniques brought to the classroom was a simple hand gesture. 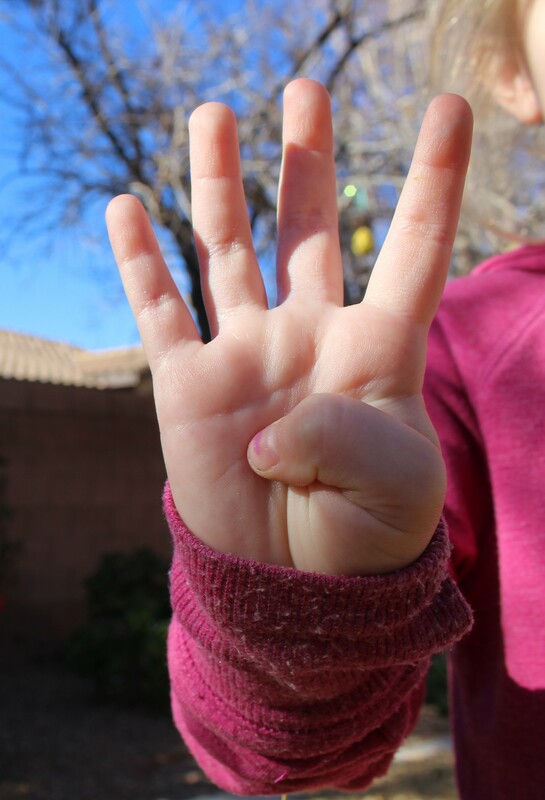 For example: holding a hand up, then folding the thumb into the palm, followed by letting the four fingers move rapidly, the child takes a breath and then slowly folds the four fingers over the thumb in a closed fist position. As the breath is being exhaled and the fingers are moving slowly over the thumb, “pull it together” is repeated silently. “Pull it together” is a verbal cue for integrating both sides of the brain. 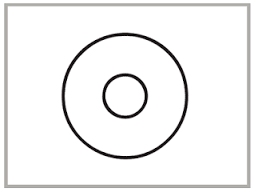 As a recent example: a primary class (ages 3-6) taught this technique to the students during a whole group circle. 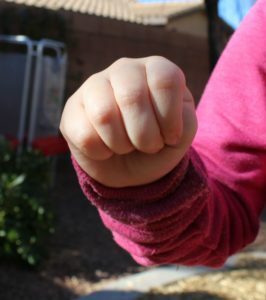 During lunch that same day, a kindergartener looked at a younger peer who was having difficulty controlling their body while eating and simply held up her hand, folded her fingers over her thumb, and the other child redirected their behavior. This action was unprompted by a teacher and demonstrates the power of mindfulness. Mindfulness is a modern term for an ancient concept of quieting the mind, intentionally. 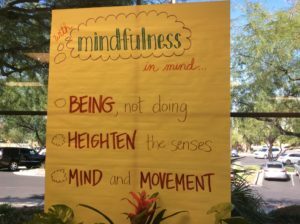 Ms. Erica introduced this concept to her middle school students this year by adding “mindfulness” as a daily part of the curriculum. She introduced mindfulness to her students by drawing their attention to their natural breathing patterns. Often, by simply putting focused attention upon the inhaling and exhaling of the breath, students began to notice a slight difference in their postures, their own breathing, and how calm they felt. A breathing ball was used to demonstrate this process. Every midmorning, middle school students are called together to practice the art of mindfulness. Breath is always a key component to this process and is used to teach students how to tune into their mind/body connection. Ms. Erica has also found a way to reveal to her students that there is a direct link between the mind and the hands. When the mind is always active and on the go, sometimes thoughts can be tamed simply by engaging the hands in small, peaceful moments. 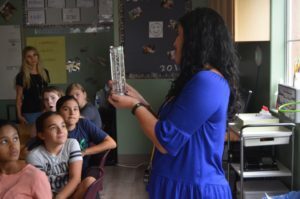 A special shelf in the room hosts 55 different mindfulness jobs, including watching oil and water mixing in a container, tracing sand in a tray, and even trying their hands at solving the Rubik’s Cube. Students are encouraged to ground their thoughts before beginning the tasks. They are also encouraged to try various mindfulness jobs to expand their own experiences and to give others a chance to do the works. Unlike other assignments, there is no goal in mind other than to experience the process of doing the work. 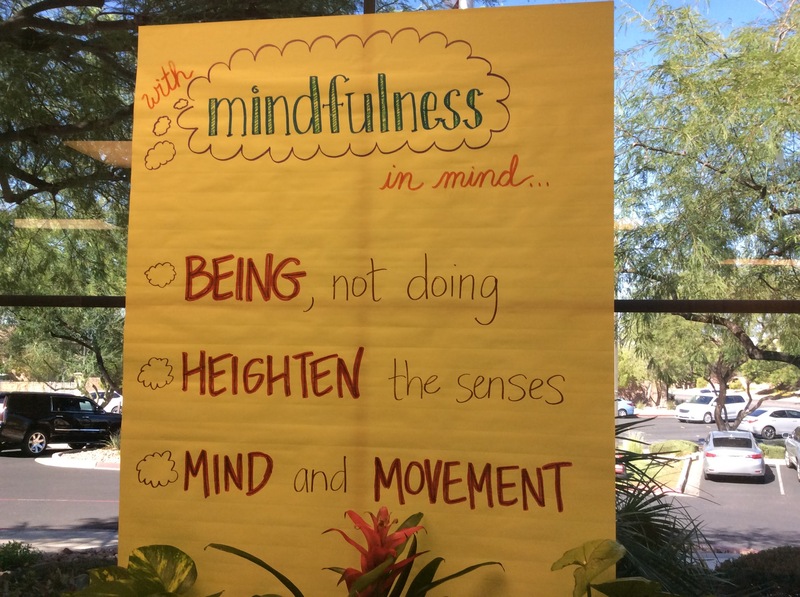 Once a week, a guided meditation is done giving students the opportunity to experience the power of “being,” opposed to “doing.” Observation of the breath is the foundation of the mindfulness curriculum and is used on a daily basis. 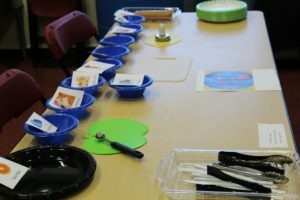 Tuning into and expanding the awareness of the five senses will take up much of the school year, with mindfulness, emotions, and the inner experience rounding out the curriculum. During a recent class, students spent class time outside, just listening, trying to expand the reach of their sense of hearing. They were amazed to discover the variety of sounds found outside when they were quiet enough to open up their perception to the natural world. A recent survey conducted by Ms. Erica revealed the vast majority felt the class was helpful and they were enjoying it. Time Special Edition “The Science of Childhood” – Inside the Minds of our Younger Selves. 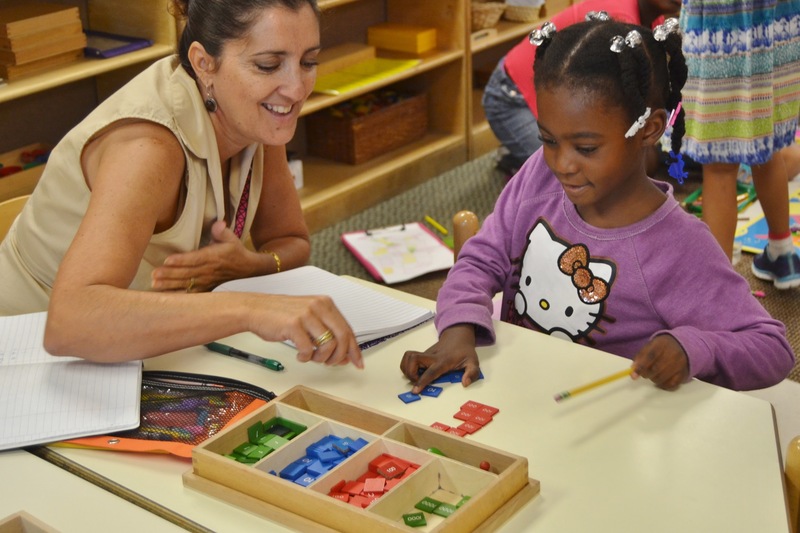 Observation is a foundational skill for an effective Montessori teacher. The ability to watch, listen and not interfere with a student’s learning process is essential for creating a Montessori experience. From the very beginning, Dr. Montessori (a trained physician) took the approach that teaching was not about filling a student up with facts and figures. 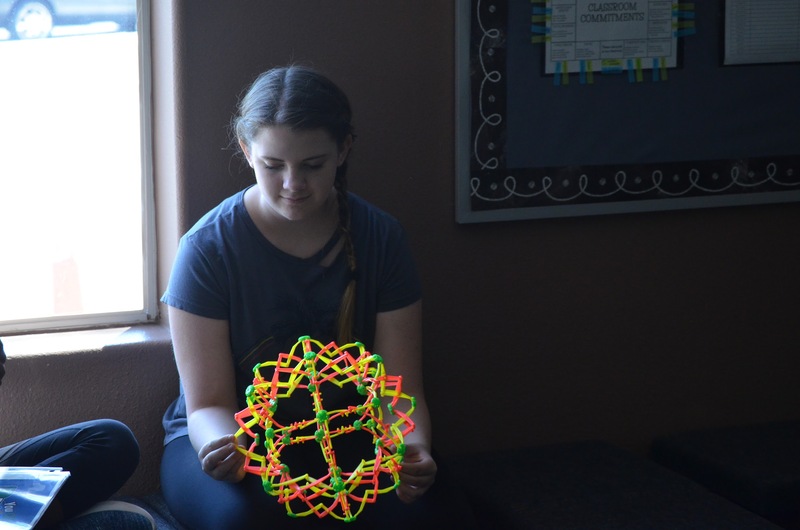 The goal was to create an environment that was interesting and engaging while teachers introduced subject matter from the most concrete perspective, and then by extension to the abstract. As the teacher creates and delivers specific lessons to a student, it becomes clear what parts of the lesson make sense to the student and is absorbed by them. It can be equally obvious which parts of the lesson did not resonate with the child. 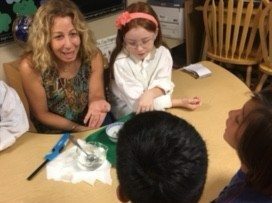 The skill to watch the reactions of a student and determine where the breakdown in understanding occurs is the hallmark of a Montessori educational experience. 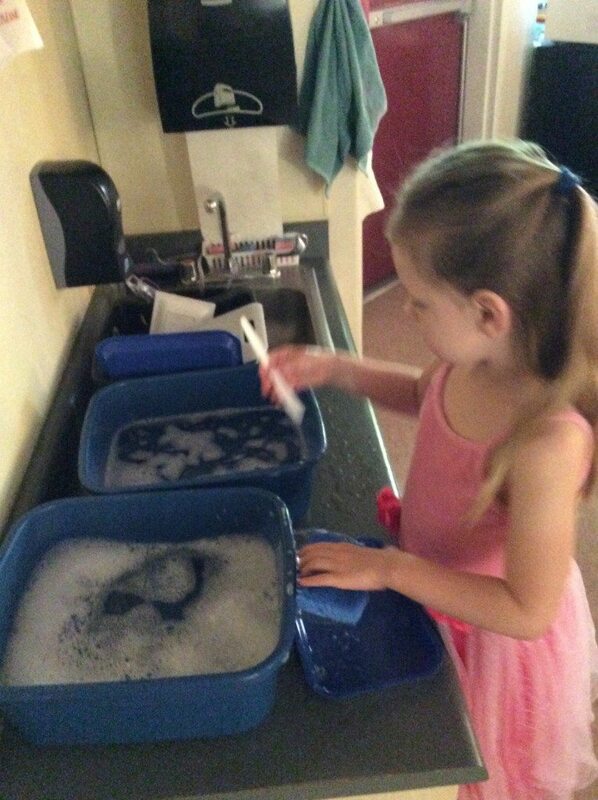 Watching with clarity and purpose is a refined skill for a Montessori teacher. In this day of instant answers and very quick adjustments to the constant flow of information, it is tempting to step in too quickly with a student and give them the “right way of doing the lesson.” Instead, a more measured and patient approach can actually net better results. 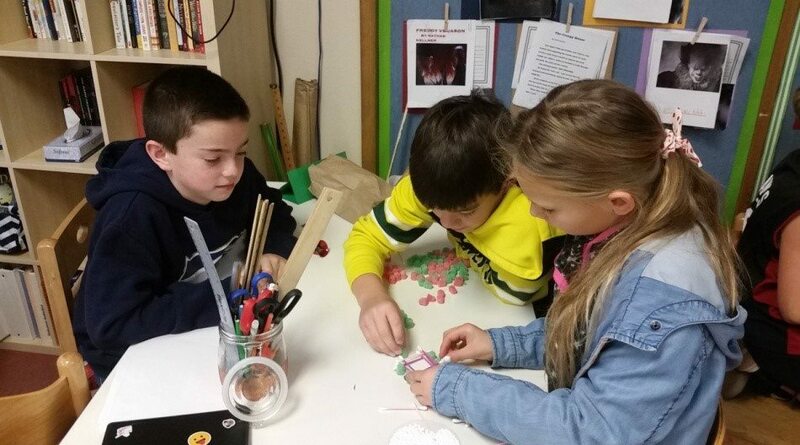 The more a student internalizes the lessons and experiences the process of manipulating the materials, or practicing more abstract skills, the greater the impact of the lesson. Observing a student over time is also extremely helpful. Since most of the students stay in a classroom for three-year cycles, it gives the teachers a wealth of history to draw upon and to apply useful comparisons to earlier observations. 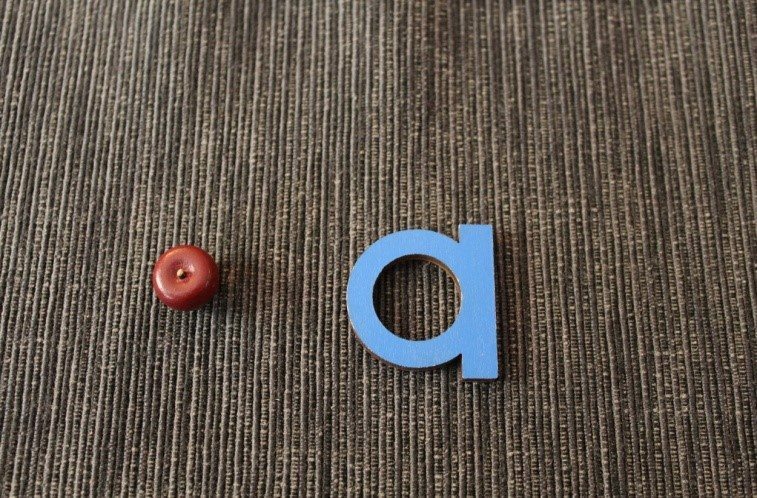 Teachers’ abilities to quietly focus their listening and visual skills are the key to delivering an effective Montessori educational experience to their students. One of the foundations of a Montessori education at FMS, is the fundamental skill of teaching students how to “organize” their work. It begins the first day in our primary classrooms and continues as a constant theme in every grade thereafter. A key writing tool for organizing thoughts and ideas is the use of the thinking map. 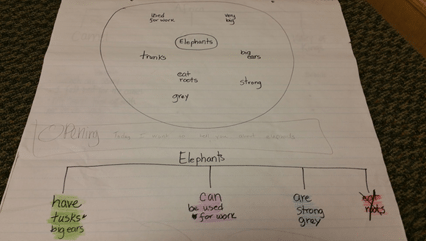 A thinking map is a visual tool students are taught to help focus their ideas into a format that makes writing easier. The entire FMS staff has had two full trainings by Ms. Erica, our Lead Middle School teacher, on the purpose and use of thinking maps. Ms. Erica is certified by the Innovative Learning Group to impart the specifics of using thinking maps. 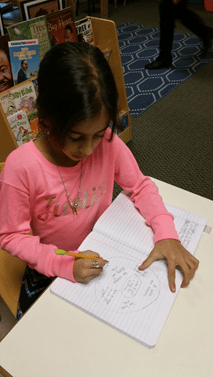 Her enthusiasm and proficiency for using thinking maps conveyed the big picture as to why thinking maps are vital as our “go to” writing tool. Thinking maps corral scattered and random thoughts in a format that visually represents the desired final effect. It can be as simple as defining a concept, to comparing and contrasting, or sequencing and analyzing cause and effect. 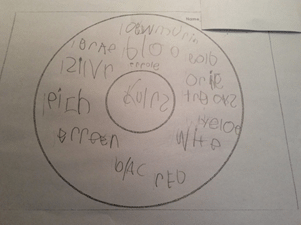 Early in this process, Kindergarteners are introduced to the concept of classifying information by using the simplest format, the circle map. They might use the word “colors” in the center and then list all the colors they know in the space around the center circle. 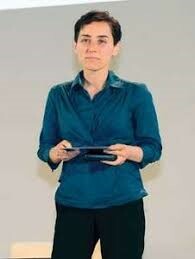 In Thinking with Maps, Elisabeth Camp (2007) investigates how individuals think and how thinking is related to language. Camp (2007) states that “…thinking in maps is substantively different from thinking in sentences” (p. 155). 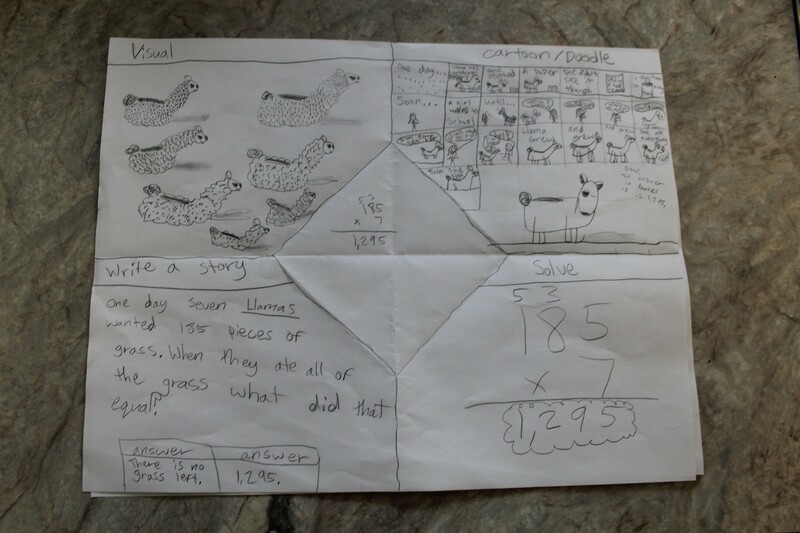 This concept supports Hyerle’s (2011) idea that Thinking Maps possess an artistic and kinesthetic component, where students can feel free to express their ideas in a “drawing,” or map, instead of using complete written sentences. Thinking Maps support learners who thrive with the artistic and kinesthetic multiple intelligences of learning. Thinking maps are used throughout each of the grades in FMS. The level of detail and fact finding increases as the students move to the older grades, but the fundamental skills of framing their thoughts into a clear and reproducible pattern is taught in the early stages of learning to write. Of all of the ways we have learned to study, thinking maps have been by far the most helpful. Whenever there is a test coming up and I get ready to study, I always organize my notes into thinking maps. I feel like when I use thinking maps it helps me understand the information better. If there is a whole section on dates – which personally are the hardest things to study for me, I always bring out my thinking maps and use a flow map. It puts the information in order to help me memorize it. Sometimes, I am even able to add multiple maps together to make it MORE easier. Another reason I love thinking maps is because when we take notes in class it gets stressful sometimes when you have to write down information about a gigantic battle. But, if you use the correct thinking maps you will soon realize that it isn’t stressful at all. What’s also amazing about thinking maps is that they help me in writing class. When we prewrite, I have ideas but it can sometimes be hard for me to organize all of my thoughts, and thinking maps really helps with that. Thinking maps also are a great way to get me thinking critically. Thinking critically can be extremely hard for some people, but for me I like the challenge. And thinking maps give me the challenges that I need. Also, I have grown up with these maps. I have been going to this school since I was three and every time I would move up a grade we would have a thinking map lesson. This shows me how important and helpful they are. This is why I love thinking maps and can always rely on them. I personally like using flow maps and tree maps. A flow map is a map that puts events in chronological order. This map helps me memorize the order of any events for upcoming tests and quizzes. A tree map is a way of listing things in a more organized way than just bullets or sentences. It may seem like a long process at first, but when it comes up to that dreaded test or research paper you have to write, you have already memorized and put your information in a way that by adding a few words can become a great paper or way to study. Thinking maps could be used in many different ways, such as brainstorming, prewriting, organizing information, taking notes, and much more! When you have several ideas or thoughts in your head, just create a circle map and write all of them down! 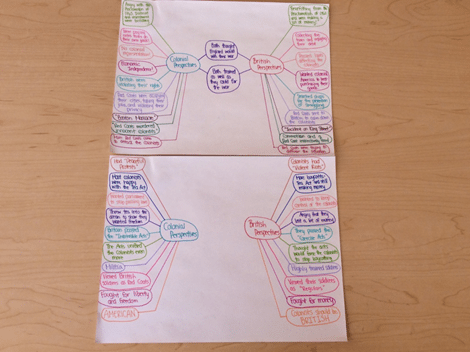 If you are about to write an important essay or report, you could use a thinking map to organize your information and prewrite. Thinking maps are also very convenient while taking your notes. They are more brief and easier to read than just listing long notes. Overall, I believe that thinking maps are great visual tools that can help you anywhere and anytime. So, the next time you are taking notes or trying to solve a problem, instead of writing continuously in paragraph form, use a thinking map! I love thinking maps. They are a super fun yet organized way of writing notes, brainstorming, or even sorting things out. I’m so glad that thinking maps are a tool that I learned to use because they have been very helpful to me so far. I use them in many different ways. When I want to compare/contrast two different characters in English, I might use a double-bubble map. Or if I need to make a cause/effect timeline on a battle for history, I would use a multi-flow map. 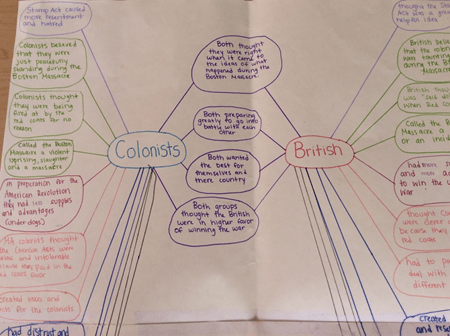 Thinking maps can be used in almost every subject in school. I can organize my thoughts onto a piece of paper, and therefore be more organized and efficient. These charts make my life so much easier, especially when taking notes. It is sometimes easier for me to understand something when it is written down before me. In conclusion, thinking maps are a useful tool that everyone should learn how to use! My personal favorite thinking map is the double bubble map because I think it is the most versatile. You can compare and contrast but you can also brainstorm with it. When I am studying the pages that are double bubble maps or any type of maps for that matter, I remember information more clearly when I am studying and when it comes time to the test I can almost perfectly visualize me holding the page whilst studying. That helps me with the pages that I didn’t have a thinking map on because it would spark a memory on the other pages. To be honest, I am not the best on thinking maps, but if I take the time to learn I believe that it will help me out later. For example my brother Brennan is in high school and he still uses thinking maps. I believe it also helps when two or more people are thinking on what type of thinking map you use and what to put in it. 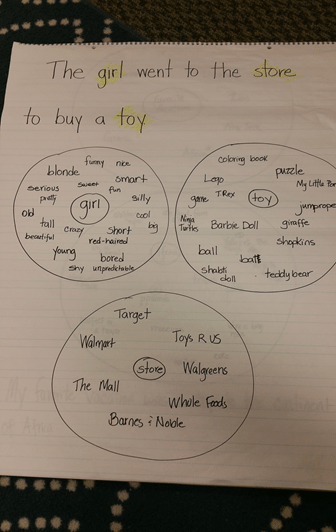 For example, Ms. Erica in the past has had us work and make thinking maps about Upfront articles. Even now, months later, I can vividly remember the thinking maps we did and the article. Thinking Maps truly do wonders and I believe everyone should be educated about them in their life because they can also help not just in school, but life.